Reno is located at the base of the Sierra Mountains at an elevation of 4,400 feet with over 200,000 people call Reno home. Outdoor activities play a central role in the Reno lifestyle. Reno and the surrounding area is a major hub in the warehousing and distribution system for the West Coast. Some snowfall hits Reno every winter, but most of it gets dumped on the nearby Sierra Mountains, which means snow sports! Mount Rose is the locals favorite ski resort, only minutes away. But there are over 10 other major ski resorts within reach. The summer heat tops out in the manageable 90's in late July and early August. Water sports are popular in the area. Lake Tahoe, the Truckee River, and Pyramid Lake offer a great mix of swimming, boating, fishing and other outdoor activities. For hiking opportunities, locals head to the nearby mountains and Lake Tahoe. Reno was once the gambling capitol of the nation before Las Vegas. Casinos still play a major role in the Reno's economy but a number of the smaller casinos have been shut down. Downtown Reno, where many of the larger casinos are located, is undergoing some revitalization, with new highrise condos and trendy restaurants and bars popping up. Reno's Night Life for years has been centered around the major casinos and their restaurants, concerts and events. The casinos sponsor concerts in indoor and outdoor venues. Local bars, comedy clubs and breweries that are popular as well. Reno enjoys the advantages of being a college town, with UNR located just north of downtown Reno. Nevada Wolf pack sports are popular with the locals. Casinos and the tourism industry employ a large number of workers. But Reno is also known as an growing distribution hub because of it's location, cost of living and tax structure. Recently, several large companies have decided to move data centers here. Reno still has that small town feel, but is growing fast, especially in the South Meadows area, with master planned communities like Damonte Ranch. 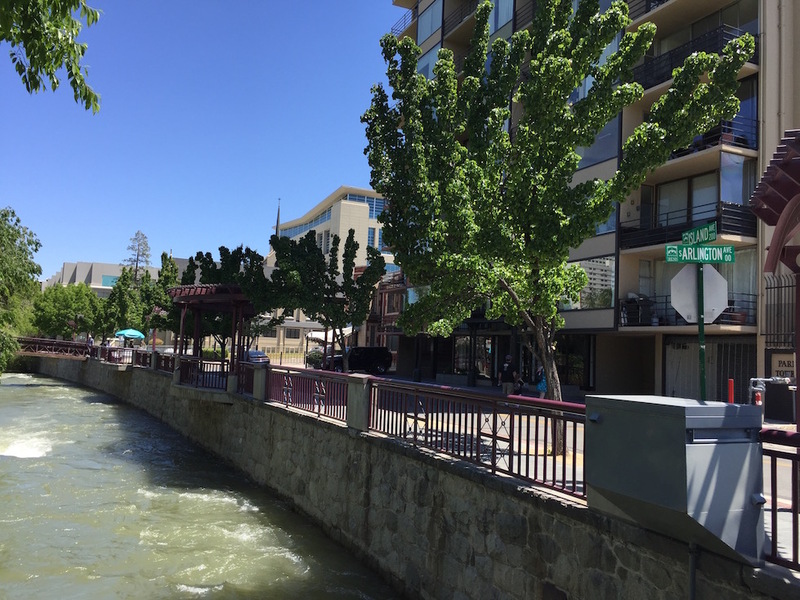 But many condo buyers like to be in the middle of things, and if so, we highly recommend the Downtown Reno area.